Standard economic models assume that many small investors own firms. This is so in most large U.S. firms, but wealthy individuals or families generally hold controlling blocks in smaller U.S. firms and in all firms in most other countries. Given this, the lack of theoretical and empirical work on tightly held firms is surprising. What corporate governance problems arise in tightly held firms? How do these differ from corporate governance problems in widely held firms? How do control blocks arise and how are they maintained? How does concentrated ownership affect economic growth? How should we regulate tightly held firms? 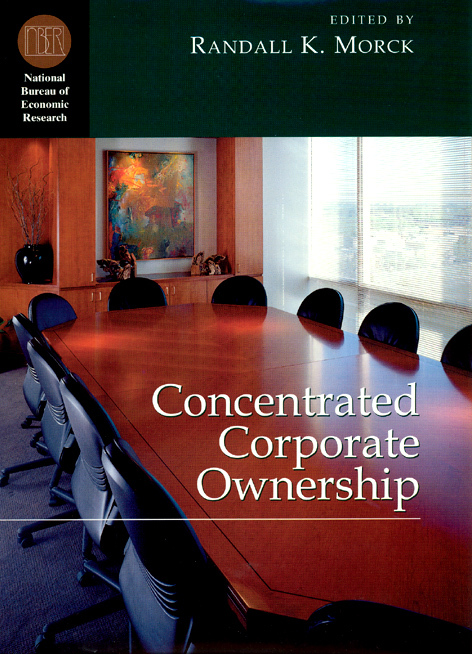 Drawing together leading scholars from law, economics, and finance, this volume examines the economic and legal issues of concentrated ownership and their impact on a shifting global economy. 4. Corporations and Taxation: A Largely Private Matter? 11. Inherited Wealth, Corporate Control, and Economic Growth: The Canadian Disease?